BlogHome » Blog » Happy Anniversary….To me! Two years ago, I was introduced to the idea of opening my wings and selling my services to translation agencies outside the geographical boundaries of my homeland, instead of freelancing mostly in the domestic market. You may find my very first guest blog post here where I explain in detail what really happened. It took me a year to actually start doing something about this high flying attempt. November was a good month for me to stop and look back in.. time. Where did I start from? What has happened during this time? Have I made any progress? The first email I sent to a translation agency was on the 19th of September 2010. Now that I read it again, I wonder how did I manage to write such an.. empty email. The one I send now to potential clients is much richer, with information that could really have an impact and perhaps land more positive replies in my inbox! Since that day, I have sent countless emails to agencies all around the globe! Wordyrama Translations was created on the 4th of September 2010. It has 355 fans. I try to post as many interesting articles, pictures or anything the fans will find entertaining as possible, at least one a week. Comments are posted to the posts, interaction begins! Great fun! I was even contacted once for a project through the fanpage! It is certainly worth having one! My Wordyrama was launched on Thursday, the 24th of November 2010 and got its very first hit one day later. Since then, it has received 1434 hits until now. OK, not as many as I would like, but not bad either! The visible trend here is quite clear: the site hits more than 100 hits the day a new blog post in Blogorama is posted! Wonderful! My @wordyrama account has 362 followers! The account was created sometime half way through 2010, after the Facebook fan page was created, however, I could not really remember the exact day even though I tried hard to find the file this information is stored in the back of my mind. Keeping a Twitter account alive is like having a pet: one needs to care, to nourish and use it, otherwise it is not going to work, but slowly “die”. I still hold my part-time post at the Foundation of Research and Technology. It is my safety net and keeps me close to IT terminology. Most of the days, I have at least one small project to get occupied with. Larger ones do come my way and these are the ones I enjoy the most! I work endless hours even during weekends, if I have to. Apart from the projects I get from agencies from around the word, I have completed numerous ones from direct clients, mainly websites for hotels on the island of Crete. This, too, is great fun! I do hope that despite the bad economic situation that is now spreading in Europe, I will get more emails for projects from my clients abroad in 2012. What is more important, though, is the fact that one year down the line, I still LOVE my job! So, Happy Anniversary to Me! Indeed, HAPPY ANNIVERSARY to you Konstantina! Nice summary, well done on the progress, you’re doing an excellent job, keep it up! Thank you much for your wishes! I am so curious to see what 2012 will bring to all of us! Indeed, happy anniversary to you! 🙂 And best of luck in the future! I did not know you follow my blog! Thanks for your kind words, all the best to you, too! 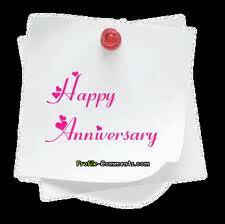 Happy Anniversary to you Konstantina!! !Your posts are really enjoyable and helpful!!! Thank you very much for your kind words and all the best for 2012, too!